How do color patterns form and diversify? The Martin Lab at The George Washington University (Washington, DC, USA) takes advantage of the unique diversity of colors and shapes displayed on the wings of butterflies and moths (10% of all species known to man) to investigate fundamental questions in genetics, developmental biology, and evolution. 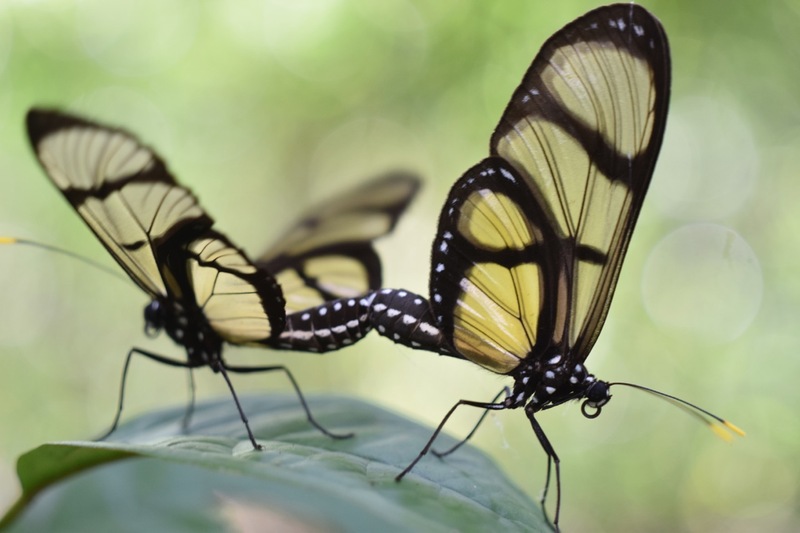 We are currently using CRISPR-Cas9 genome editing in butterflies to directly test the role of candidate developmental genes (signaling pathways, transcription factors) in the formation of two-dimensional color patterns. This comparative research combines with gene expression studies, forward genetics, and ecological genomics to provide a comprehensive understanding of the origins of biodiversity. Butterflies are already well established model systems in Genomics, Evolutionary Biology, and Ecology. Our overarching goal is to new mechanistic approaches and provide a more integrated understanding of genetic function, pattern formation, and morphological diversification. Color patterns are a form of spatial information that essentially results from a cascade of regulatory events taking place during wing development, including in the butterfly larvae, ie. well before wings are visible. Developmental patterning results in the complex compartmentization of the wing field into territories of cells that acquire final identities. The developing wing consists of a double-layer of epithelial cells, which will give rise to a an array of organized scales arranged in overlapping rows. Each color scale of the adult butterfly wing is secreted by a single cell. Thus, understanding color pattern formation consists in reverse engineering how a natural pixel screen is specifying fields of differentiated cells, reinforcing borders between them, and translating this regulatory identity into color (pigment-based or structural colors).